The report present crucial information on the global immune repertoire sequencing market in a comprehensive manners and has covered significant factors affecting the market’s growth. It is tailored in a manner that can be easily understood by the individuals operating in the market. It gives out the information relating to key drivers and restraints, growth opportunities, and ongoing trends in the market. Moreover, key markets offering high growth prospects and vendor landscape is also discussed in the report. Introduction of novel products and increasing research and development by several new players and institutions are projected to create huge growth opportunity in this market. Lately, immune repertoire sequencing has been useful for the development of cancer biomarkers and immunotherapies. Consequently, rising incidence of cancer is estimated to positively boost demand for immune repertoire sequencing. Growing research and development on immune repertoire sequencing is projected to create a favorable environment for development of immune repertoire sequencing in the forthcoming years. Various key market players are engaged in developing new products that is likely to create huge growth opportunity in the global immune repertoire sequencing market. For example, Archer Immunoverse B Cell Receptor (BCR) was launched by ArcherDX, Inc in 2017 to examine human B cell repertoire. Moreover, researchers from different universities are also working in understanding disease-related signs in the immune systems of patients that are having SSc-PAH (systemic sclerosis with pulmonary hypertension). This is an unusual chronic autoimmune disease, which disturbs the connective tissue. These initiatives are anticipated to create huge growth opportunity in this market in the coming years. On geographical front, North America is projected to lead the global immune repertoire sequencing market due the presence of large number of leading players in the region. Innovation and use of advanced technology for immune repertoire sequencing are the key strategies adopted by the players operating in the market. For instance, 10x Genomics Inc. a U.S. based company has added a novel B-Cell and 5’unbiased improvement kit to its immune repertoire profiling solution or chromium immune repertoire sequencing. Asia Pacific and Europe are also projected to offer lucrative growth opportunity in this market. This is mainly because it plays a crucial role in oncology research and helps in the development of immunotherapies and biomarkers. According to the data reveled by Cancer Research UK, there are almost 357,000 new cancer cases in 2014, accounting 980 cases per day. Lung, prostate, bowel, and breast cancer together accounts of 53% of the total cancers in the UK thus, making huge opportunity for immune repertoire sequencing. In the competitive landscape section, the report has covered prominent vendors operating in the global immune repertoire sequencing market. In this particular market, leading vendors have strategic geographical presence with multiple production facilities across the globe. This has helped them getting stronger hold in the market and provided them a competitive edge in the market. Innovation, collaboration, partnership, mergers, and expansion are some of the most preferred business development strategies used by the vendors operating in this market. In addition, a new business model is introduced in the market named long tail business. 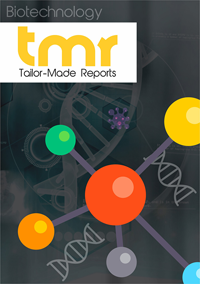 As per the report, some of the prominent players operating in the global immune repertoire sequencing market are Illumina Inc., Thermo Fisher Scietific, Atreca, Inc., ArcherDX, Inc., Juno Therapeutics, Roche Holding AG, CD Genomics, Pacific Biosciences, and Adaptive Biotechnologies..